Oh yeah, baby! I am cookin’ with gas! 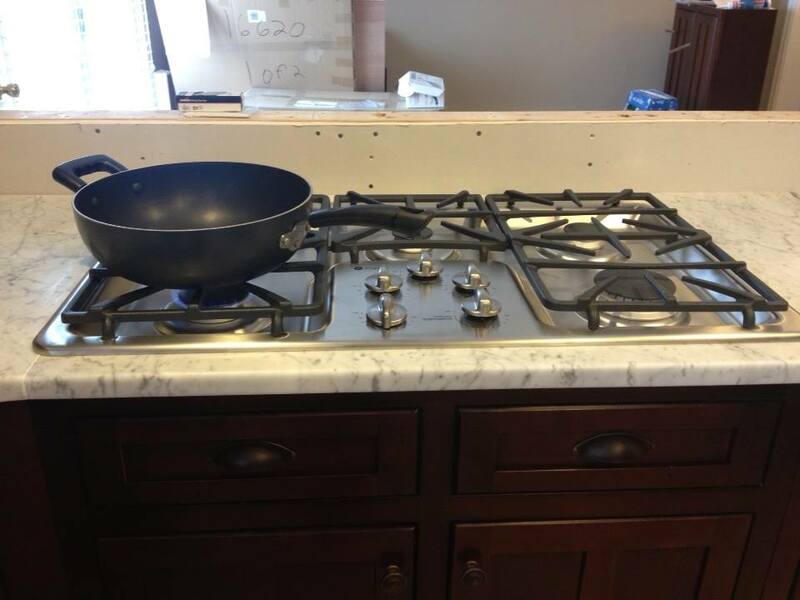 Oh and the countertops are in … marble. Can’t post photos of the complete kitchen until we have the bar top and the backsplash done but I just couldn’t resist shouting that I am cooking again! Tonight I’m gonna make a chicken stew from Cook’s Illustrated. Oh and a quick shout out about my most amazing hubby. We both woke up early (4a) and rather than lie in bed wishing he could sleep, which is what I wanted to do, he got up and installed the faucet to my sink and installed an outlet for the cooktop so the installation fellas wouldn’t have to. Thanks to him my kitchen in nearly unpacked and I will be cooking in style tonight. Woo Hoo! I am a happy, happy lady!